now the Head of the CAR Renewable Energy, Fuel Cell and Hydrogen Laboratory (LERH). His work has been published in professional journals, books and conferences proceedings. He has served as a proposal referee of the Spanish National Science Foundation (CICYT). 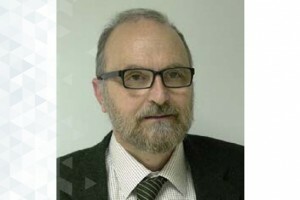 He is founder member of the Fuel Cell Network CSIC-Universities, Spanish Hydrogen Platform, Hydrogen Spanish Society, and TSW European Foundation for solar buildings. Rotary-gradient fitting algorithm for polarization curves of Proton Exchange Membrane Fuel Cells (PEMFCs). International Journal of Hydrogen Energy. Vol.33. Pages: 2774 - 2782. Study of material combustion synthesis by image analysis | Posibilidades del análisis de imagen para el estudio de la sintesis de materiales por combustión. Boletin de la Sociedad Espanola de Ceramica y Vidrio. Vol.44. Pages: 105 - 112. Symmetrical electrode mode for PEMFC characterisation using impedance spectroscopy. Journal of Power Sources. Vol.151. Pages: 25 - 31. Gestión distribuida de la energía en redes inteligentes.